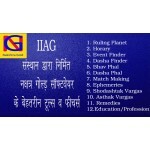 Through the IIAG Institute, you can make horoscope of your life only for Rs 3100. The following points will be covered in STARTER PRO VERSION @ 3100. How will be your health? How much respect you will earn in your life? What will be your financial status? What is the level of education and what will be the direction of this education? What will be the status of houses, vehicle, children, diseases and competition in life? You can learn about marriage, wife, partnership, happiness in relationship, parental property, property from father etc. What will be your profession. What is suitable for you: job or business? Judicial trial, chances of imprisonment, success in politics or not? What is your lifestyle in the present condition? 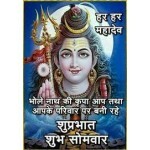 What will be the impact of Mulank, Bhagyank, Manglik, Sadhasati and gems on your life. What are the solutions you should follow in your life? All these points will be covered in STARTER PRO VERSION @ 3100.